If you think it’s hard on you when you have to leave your dog at home to go to work, it’s even harder on your dog! A lot of dogs can’t bear the thought of being without their owners, even for a few hours. They chew up furniture, shoes, and other items around the house, bark or howl all the time, and they might even “do their business” on your beautiful rug. Here’s some information on the signs your dog might be suffering from separation anxiety, and what you might be able to do about it. The term “separation anxiety” means exactly what it sounds like. It means your dog is anxious because you’re out of the house. 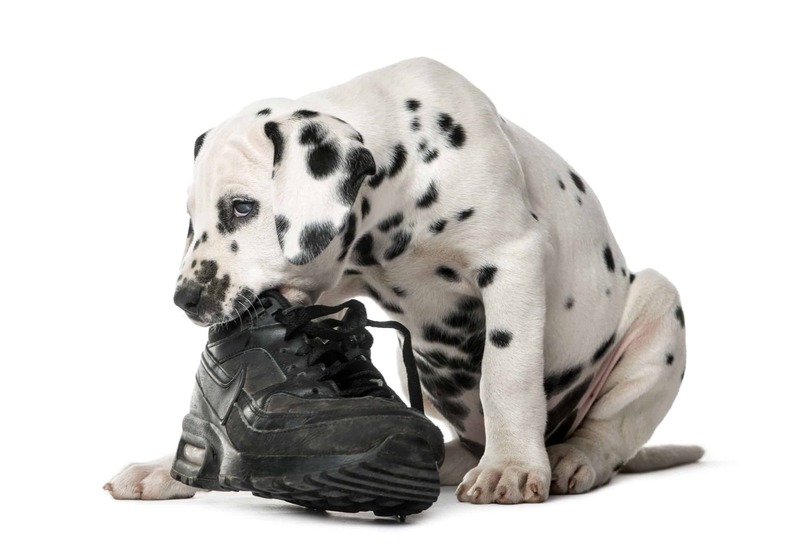 When you leave, it can trigger a wide range of behaviors in your dog, such as drooling or attempts to escape (which can often lead to a serious injury). While some pet owners believe these behaviors are signs that their dogs haven’t been trained, that might not be the case. Some dogs start showing the signs of separation anxiety long before their owners ever leave the house. They might become agitated and start acting out, like grabbing a shoe or a toy and shaking it violently. Some might seem depressed, refusing to move and looking forlorn. There are some dogs with separation anxiety that will actually do whatever they can to try to keep their owners from going out the door. When you get back home, the dog will act like you’ve been gone for years. The good news is, there are several behavior modification techniques available to help with separation anxiety in dogs. These techniques help make it easier for your dog to relax when you leave. Some dogs get to a point where they even find a way to enjoy themselves while you’re gone, but the typical goal is to get yours to at least tolerate separation. Moving to a new home – Relocating from one home to another can be stressful for people. And a dog is no exception… even going from home to a “doggy daycare” can lead to separation anxiety. Going from a home to a shelter can also lead to separation anxiety in dogs. A sudden change in who’s living in the house – Someone leaving the home could lead to separation anxiety in dogs. It could be a child moving away to college, or the passing of a family member. Are Certain Breeds More Prone to Separation Anxiety? While some dogs mope around when their owners leave the house, others take out their frustration any way they can. They might chew on a pillow, a shoe, or some other household item. 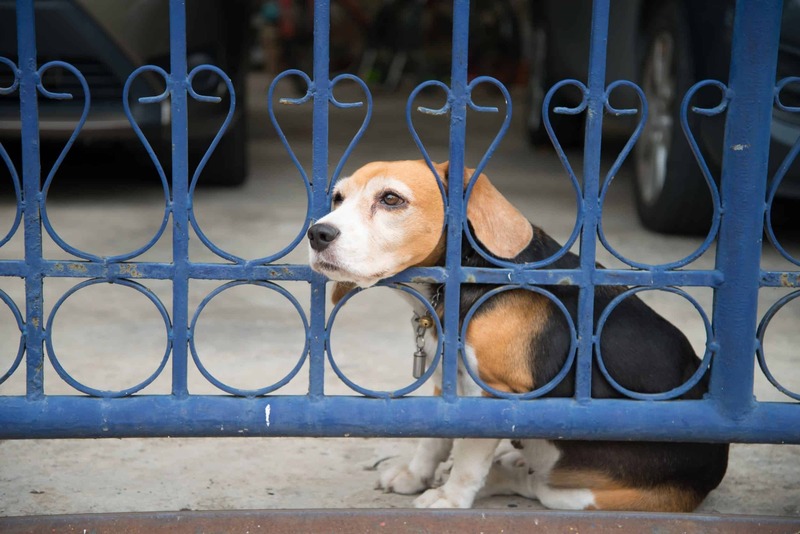 Dogs with separation anxiety will sometimes let everyone in the neighborhood know about it. They do this by always howling or barking. When left alone, some dogs will walk throughout the home, following the same path in the same pattern. Some will go back and forth in a straight line, while others will walk in a circular pattern. Like most behaviors associated with separation anxiety, dogs usually don’t do this when their owners are home. This is a destructive behavior, and a dangerous one. It can lead to a serious injury, such as a broken tooth, a damaged paw, or worse. For example, a dog with separation anxiety might try to get out of the house by chewing on a windowsill or scratching at the frame of a door. There are many different potential reasons why this happens, including a weakened sphincter due to age, a urinary tract infection, kidney disease, a bladder stone, or diabetes.13 Some female dogs will urinate because of hormonal problems.14 It’s important that you see your vet to rule out a medical issue before trying to fix what you think is separation anxiety. If your dog is exhibiting behavioral problems when you’re away, there can sometimes be reasons other than separation anxiety. 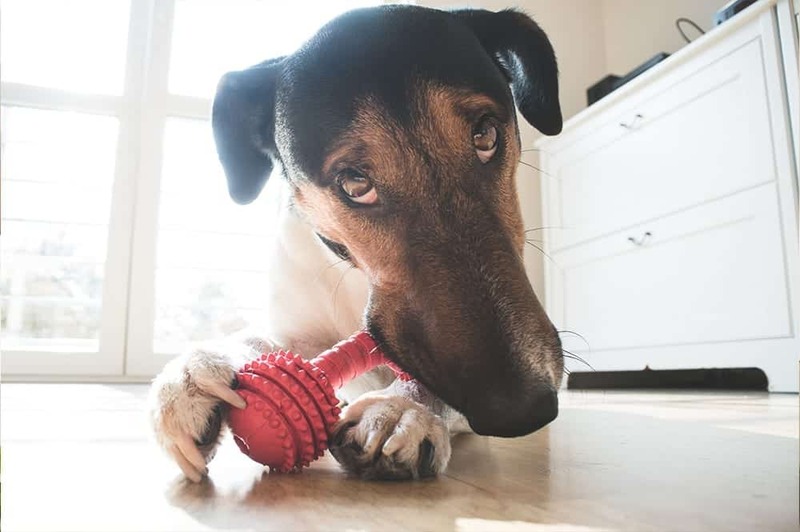 One example is leaving your dog a toy filled with food that will take them quite a while – about 30 minutes – to finish. You can fill it with stuff they love, like cream cheese, canned or dry dog food, or even peanut butter. Just don’t add too much, because that could cause weight gain or disrupt digestion. 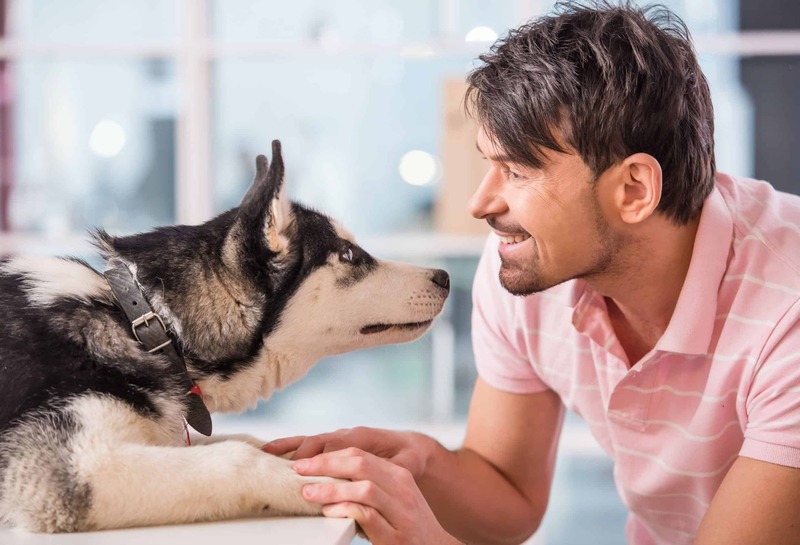 If your dog is having extreme separation anxiety, the first thing you should do is ask your vet to recommend a behaviorist or trainer with an extensive background in helping dogs get over their problem. An expert can help you map out an effective plan that will defeat this problem once and for all. An approach that often works is to change your routine before you leave your house. It’s important to note, though, that if you’ve had your dog for a few years, he or she knows your pre-departure routine. It’s going to take a long time before your dog no longer associates those cues with you immediately leaving. It could take going through these cues many times a day for several weeks before you get your desired effect. You’ll know you’re making progress when you perform the pre-departure routine and your dog doesn’t show signs of being anxious. 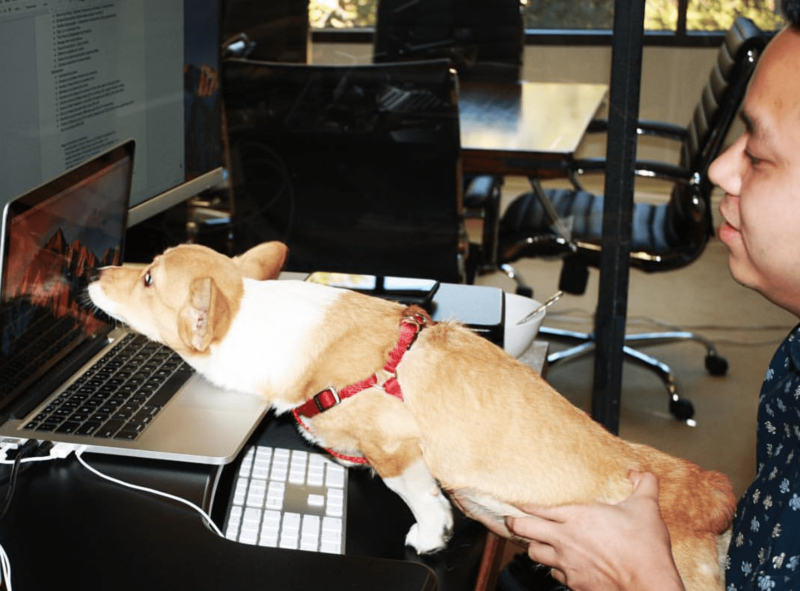 This would help make life easier for your dog during the week, of course, but finding a workplace where you can bring animals might be tricky.22 If this isn’t an option, see if a neighbor, friend, or family member would be willing to stay with your dog during the day. If that’s not possible, hire a pet sitter. Most dogs won’t experience separation anxiety as long as there’s someone with them. If your dog is tired, they won’t be as prone to going through separation anxiety. But if your dog is bored? That’s going to be a problem. Try taking your pup for a brisk walk through the neighborhood about 30 minutes before you leave to tire him or her out. Or, play with your dog before it’s time to go. If you can take your pooch for a walk, try taking different routes for variety. Your dog will love checking out the new sights and smells, and that could help him or her relax more while you’re gone. As frustrating as separation anxiety can be, it’s important that you never punish or yell at your dog. The dog is not misbehaving out of spite, or being disobedient. 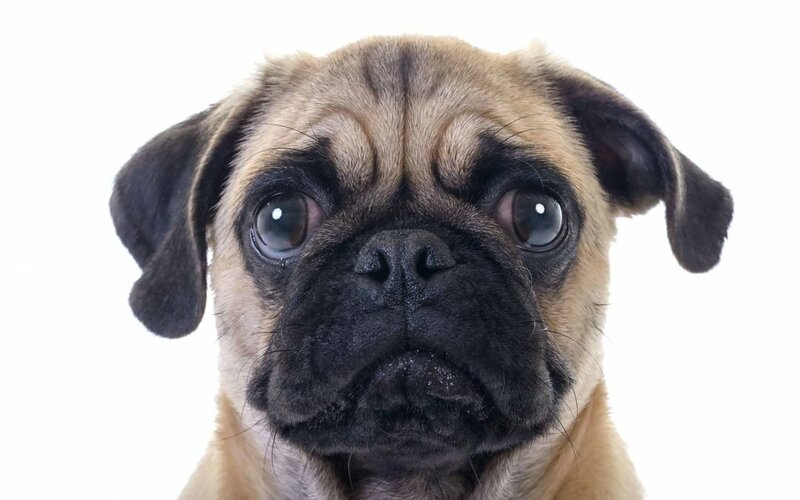 Your pooch is upset. Punishing your dog in any way could make the problem even worse. If you own a dog and you’re at your wits’ end when it comes to separation anxiety, don’t get mad at your companion. Get to a vet and determine the best possible plan to finally end this problem for good.